Introduction - The USA by Helicopter. 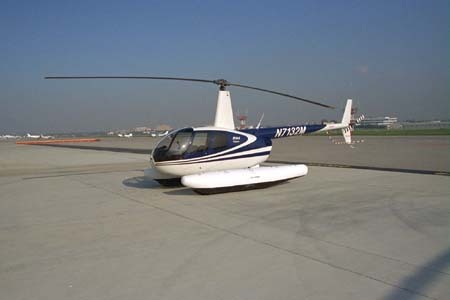 First, you have to understand how overhauls work with Robinson Helicopters. 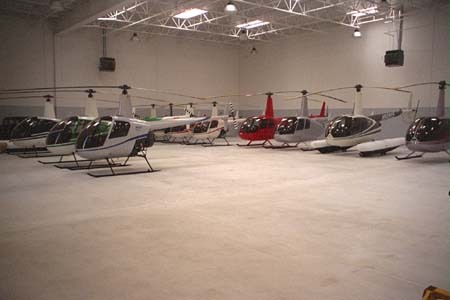 Most helicopters get all their work done in the field, or at repair centers owned by various maintenance companies. Robinson does it differently. 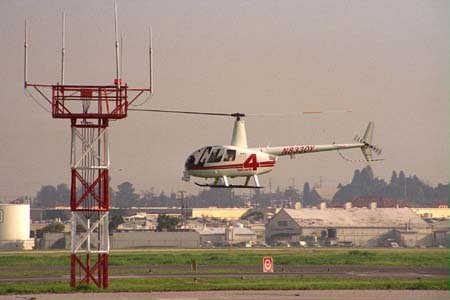 When a Robinson Helicopter needs to be overhauled, it goes back to the factory in California. The helicopter gets stripped down, inserted onto the assembly line, and gets built up as almost a new helicopter. Some helicopters get packed up in a crate and shipped to the factory, but it's common in the USA to fly the helicopter back to the factory, and then fly it home when the overhaul is done. All across the country I talked to airport managers who said they had a couple Robinson helicopters go through every week, either on their way to California, or back again. Sort of like a pilgrimage. Anyway, the owner of the helicopter asked me whether I'd like to fly it back with her. I was excited to do this because I've been flying Robinsons for about 12 years and have had several friends do the trip, but never had the chance to do it before. My inlaws live in California, so I flew out the night before where Mike, my wife's nephew, picked me up at John Wayne airport. His family took me out to a wonderful dinner (thanks Mia & Shig!). Then Mike took me to my hotel in Torrance. 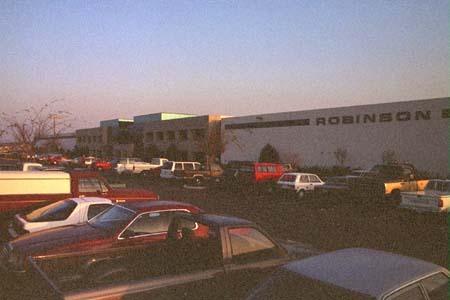 The next morning, I walked down the street to Robinson Helicopters. It was a little confusing for me, because the last time I had been at the factory was at the old tin building on Crenshaw. I remember from the last time I was there that it was just another industrial building, with no way to know that they were building aircraft inside. It was kind of a small, dark, factory floor there. The new building, on the other hand, is really beautiful. It's huge by comparison, and the factory floor is spacious, well lit, and very impressive. I talked a little bit with the guys working on this R44. 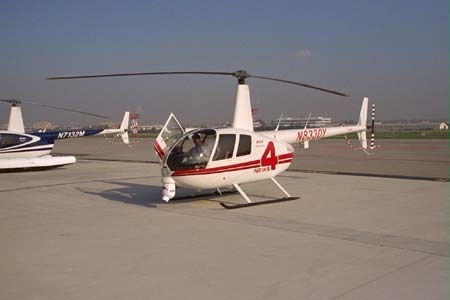 Robinson was having an open-house that day, and they were preparing to show this R44 in action. It's outfit as an ENG (Electronic News Gathering) aircraft. It has a gyro-stabilized camera in the nose, plus a lipstick camera pointed at the pilot, plus a lipstick camera mounted back on the horizontal stabilizer looking forward along the aircraft. In flight, a small antenna is rotated down from the right skid to act as a microwave antenna. A guy on the ground keeps a directional antenna pointed in the direction of the aircraft. The pictures were very stable, even when zoomed in all the way at an altitude of 500 feet.